Fonteva delivers complete association management solutions, from implementation and data migration to customization and training. "Great Events System for Nonprofits"
The ability to have all Association functions under one AMS instead of using multiple systems to meet individual program needs. So far, we have only used the Events system for small events and have not had any issues. We may have more issues with attempting to use this system for our complex +10k attendee conference. Start small with implementing small events like lunches or training sessions. 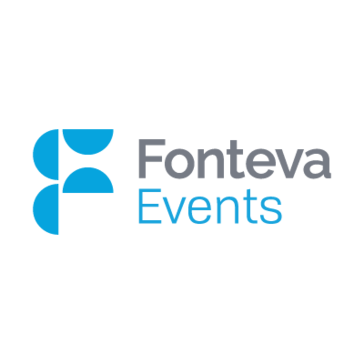 We've used Fonteva events to eliminate having to use multiple unconnected systems (Membership Database, Events Registration, Website). Now we only use Fonteva Events with Fonteva Membership. This eliminates a lot of data validation steps and importing data. It is critical to have real time data and Fonteva meets that need for our operations. "Great for Current Salesforce Users"
Since it's built on Salesforce, Fonteva transfers our event data right into our Salesforce org, which is where we track everything else. That is fabulous. The event builder is also very intuitive, even for our less tech-inclined staff. There are a few pieces of functionality that I wish Fonteva had, such as automatically writing registration form information back to the attendee record. But these aren't deal breakers. Be sure you clearly map out your requirements before starting to install the events app. And give yourself plenty of time before you go live, especially if you don't have an experienced Salesforce administrator on staff. Our previous event management system was separate from Salesforce. Data transfer was a pain, to say the least. Fonteva solved that issue by putting the data in the system right away. You can use this product to set up events using their highly configurable templates. You can also add branding, logo and various ticket types. It supports venues, classes, speakers, vendors, scheduling, registration, online payment for tickets etc. I had used this product in the Salesforce classic interface and it felt very cumbersome at times. I haven't had a chance to evaluate this in the lightning experience yet and hence cannot comment on the latest version. 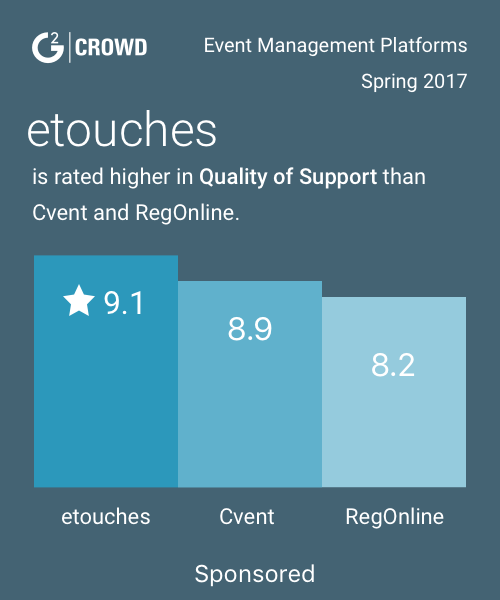 If you are looking to use Fonteva Events for a B2C use case, it is by far the best solution on the Salesforce platform. You should consider this solution because it supports all the common use cases for event management. We implemented Event management module for a large global customer for their rallies and large events. This tool was extremely useful to support all the basic use cases required by the customer. "Great events module that is native to Salesforce and is built for associations from a growing org." This events app is built right on top of Salesforce. The amount of features, the look and feel, and the UX are fare superior to former solutions. Plus, this has its own eCommerce capability which can used with the rest of the Fonteva product. Regular new releases are slated. I also like the fact that the company is growing quickly. There are some items which are slated to be released which are not currently available. Some of the SEO elements aren't yet in place. As with any system, there are some constraint, and I hope that in a forthcoming release there will be a more comprehensive set of features to help with search. We need to have a better UX for our association members to find and register for events. We need to be able to make changes on the fly in real time, and we need to be able to support different event types. So far, building attractive events is an easy and quick process. "Events Made Easy All On Salesforce"
Out of the box Event Management functionality for Salesforce. There is no worthy competition to this product. If I'm looking to add any type of Event functionality to a Salesforce org this is where I go immediately. Fonteva's software makes Events easy; I've set it up and customized it for a company in an hour or two and then they can make Events within a few minutes. It always wows my customers to have such functionality so quickly. Custom and complicated development on their pages can be time consuming. Out of the box everything is fantastic, but custom Visualforce pages and CSS can take a lot of debugging. Wish it was easier to customize better. But this is a minor blemish on a fantastic product. "I want to be easily able to organize Events and Conferences, and I want the best software for it"
"I want to be easily able to integrate my Events software with the best Membership software"
"I use Salesforce and want to drive customer engagement in person"
"Great "out of the box" EMS, especially for Fonteva ORGs"
Very easy to use. Robust event builder/wizard. Super easy decision if you're already using Fonteva and Salesforce. Integration with the onsite store, forms, registration, everything is handled right inside Salesforce. No need to set up external EMS and try to get your data back in to SF. There is no built-in indoor map, so you'd need to use an external tool for that if you have a very large event with multiple indoor locations. Not an issue for our purposes probably. Admin training for Fonteva and Fonteva Events is worth it. "Best Event Module to date!" The layout is easy enough to allow any user setup and schedule Events. The wizzy wig is out of this world. But the preview to see the updates real time is ideal to ensure the site is perfect! I do not have any issues with the system are this time. the Event Setup and dated feel will be resolved when we go live very soon. "Friendly UI and Easy to use"
Friendly UI and Easy to configure events. There is no way to go back to eStore from Events. We sell online products and set up events for training. "We’re hoping to run more and more events this way!" "Much better than our previous events platform"
Complete salesforce integration. ease of setup. customizability. It makes hosing events much easier. Registration information is sometimes difficult to export but I hear they are updating this in a future release. Events in salesforce and managed by our AMS makes the whole event process much easier. "Makes event operations less of a pain "
Ease of setting up registration including discounts, refunds, etc. Instead of using third party sites, great that we can keep our operations in house. registration issues with third party sites and delay with reporting. Having control over our registration and the ability to receive results in real time without depending on a third party company for updated numbers. * We monitor all Fonteva Events reviews to prevent fraudulent reviews and keep review quality high. We do not post reviews by company employees or direct competitors. Validated reviews require the user to submit a screenshot of the product containing their user ID, in order to verify a user is an actual user of the product. Hi there! Are you looking to implement a solution like Fonteva Events?